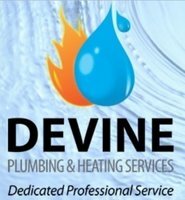 Devine Plumbing Services is a Manchester based Plumbing and Heating company. We cover all local areas in Cheshire and Greater Manchester, Sale, Chorlton, Didsbury, Withington and Fallowfield. Our engineers cover the full range of Plumbing and Heating Services including bathroom and kitchen installations, full central heating installations, drain unblocking and plumbing work. We pride ourselves on our professionalism and are completely focused on doing a great job for our customers. Much of our work comes from word of mouth since we have an excellent reputation for good workmanship, reliability as well as being friendly and approachable. Ian is a friendly, straight talking chap who did a great job of replacing our 15 year old Ravenheat boiler with a new Worcester Bosch 30i. His quote was cheaper than 2 other which recommended local companies and was quickest to respond. Ian did a great job of making sure the position of the condensate drainage pipe was planned carefully and explained all the possible options for us well. The job was completed tidily and took about 1.5 days. He even spent a while debugging the Nest thermostat with me and would not leave until it was working correctly! Great service at a great price, would not hesitate to recommend these guys for boiler replacements. In Dec 2018 I discovered a problem with my central heating. As my usual plumber was unavailable, I looked at the Which Trusted Traders list to identify a plumber in my area, and contacted Ian from Devine Plumbing and Heating Services. I was very impressed with the work that Ian did for me:- 1) he responded quickly to my initial call 2) he was able to quickly diagnose and rectify the problem 3) he undertook the work in a professional and friendly manner I would be very happy to use Ian again for any future work on my central heating system. Ian has helped me out with many plumbing emergencies over the years. He has also fitted a new bathroom for me and a new boiler when I moved house. He is always very reliable and friendly and he is flexible on times if you work long hours like I do. I would highly recommend him and his team! Ian and his team were great to work with. Ian provided a design service, and expertly installed and finished our bathroom. The quality of workmanship was really excellent, and I found him to be helpful, considerate and reliable. We now have a wonderful new bathroom, all working perfectly, and this adds a nice contemporary look to our home. We are delighted, and would chose Ian again for any plumbing job we needed. We contacted Ian to arrange a replacement boiler. He provided us with excellent advice and guided us through the various options available. We had no problem arranging an installation date and were perfectly happy to leave Ian with a key to our house and for him to manage the installation while we were away on a short holiday. The installation went well, despite some access issues (which Ian sorted out really well for us) and was completed within the timescales quoted. The after-care has been great - Ian explained the controls and the maintenance schedule and registered the warrantee online for us as well. I wouldn't hesitate to recommend Ian for plumbing jobs large or small (this wasn't the first job he's done for us - and he has been consistently good). We've just had a bathroom completely refitted by Ian Devine. We wanted to move the toilet, sink and radiator as well as install a shower enclosure. Along with changes to the hot and cold internal pipe work, this meant the ancient cast iron soil pipe would need removing, replacing and rerouting. Not an easy task. We contacted Ian Devine and from start to finish, he was great - thoroughly professional, knowledgeable and skilled. At the early planning stages he gave us advice and support. During the refit he explained every step as he went along, Afterwards, he visited to check everything was OK, The plasterers and tiler he called in were also top notch. We are delighted with the bathroom he's created for us. We have just recently had a new boiler fitted by Ian Devine and feel that we can't speak highly enough of him and his workmanship. His work was completed to a superb standard and no challenge was too big for him. He is a lovely man who was always on time and thoroughly explained everything he was doing. We cannot recommend him highly enough. Just keep the coffee flowing. We had a complete Bathroom renovation, from the quote to discussing the work schedule, to all the work which was completed it was carried out to an extremely high standard within the time schedule, we would not have a problem in recommending Devine plumbing and heating, Ian and the team appreciated that my elderly mother found the experience of a bathroom renovation stressful but Ian and the team made it as pain free as possible working round her and probably making it more difficult for themselves. Ian`s advice was invaluable in and also recommended a flooring company. Ian also cleaned up after all the work was completed and placed covers down throughout the hallway and stairs to help protect the carpets. Since moving into our first house, divine plumbing have done all of our plumbing jobs ranging from small repairs to new radiators and a boiler installation. Ian and his team are professional, prompt in their work and straight forward to deal with. Having used them for 5 or so jobs now I have complete trust in the quality of work they do.